Our first magazine was launched as early as 1989. Today we release Sweden's most well-known magazine for high school students, high school students and students at the country's colleges and universities. Chili is aimed at the eighth and ninth grade classers and the focus is half a pleasure and for half a time. The future part ties together industry, business and secondary education. This allows the student to easily look at the entire chain and easier to choose the focus. Here are the industry actors and some of its member companies, telling about the industry's future and opportunities. In addition, young people from companies describe how it works in the industry/company. Chili is posted to the country's eighth and ninth grade and magazine distributed in the cities of Stockholm, Gothenburg, Malmö and Lund. Fun and high school/career choice for 14-16 year olds. Piraja is available to over 290,000 of Sweden's high school students and is part of the high school environment. A large part of the content of Piraja is created in consultation with the target group. In this way, a deep anchorage is created for the reader. Great attention is also paid to the entertainment section with the ambition to be Sweden's leading fun for young people with the latest in music, fashion, leisure, the best reviews and the most important artist interviews. Piraja also places great emphasis on life after high school, university studies, career and jobs! Distributed at Sweden's upper secondary schools and reaching a potential reach of 290,000 high school students. Inspiration, enjoyment and pleasure for high school students. Piraja.se is Studentmedia's digital magazine (we prefer the term blog) that combines the best from our print magazine. 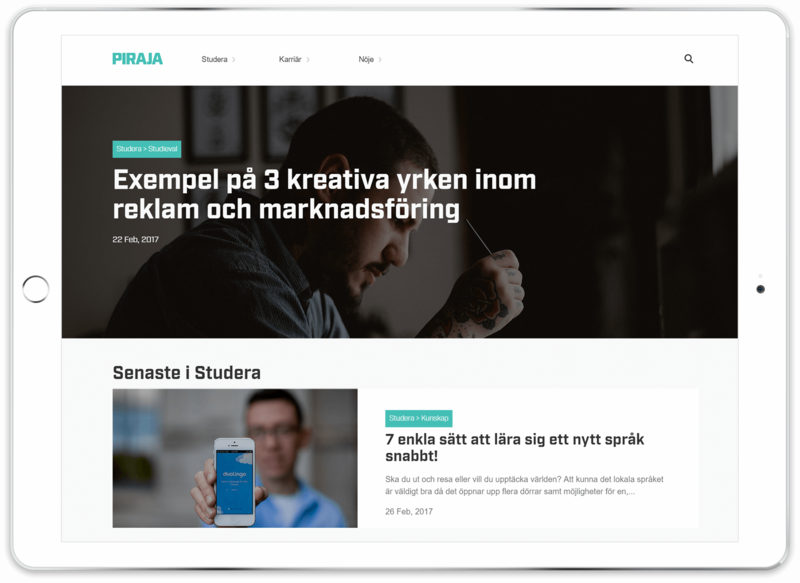 Piraja.se is a modern "mobile first" product where students and graduates can learn, among other things, how to improve the study results, how to kickstart the career or inspirational stories from other students and people who have started working life. All this is combined with interesting and inspiring interviews with everything from artists and designers to managers and entrepreneurs. In addition, our readers get awesome tips on the latest fashion, music and movies. The student magazine is presented in magazine information and reaches the target audience effectively. Through good cooperation with the country's student unions, nations and university restaurants, we guarantee the highest level of accuracy in the target audience of students. As a nationwide, well-established and powerful communication channel for Sweden's future high-income earners and decision-makers, we dare to say that the Studentmagasinet is Sweden's by far the most outstanding and interesting student magazine. Combined with a modern layout, the magazine is packed with the latest in career, pleasure, fashion and current topics that affect and shape the student's everyday life. Studentmagasinet is represented in 20 locations in Sweden with distribution at the 25 largest colleges and universities. Career, fun and fashion for students and young professionals in the ages 18-35 years. 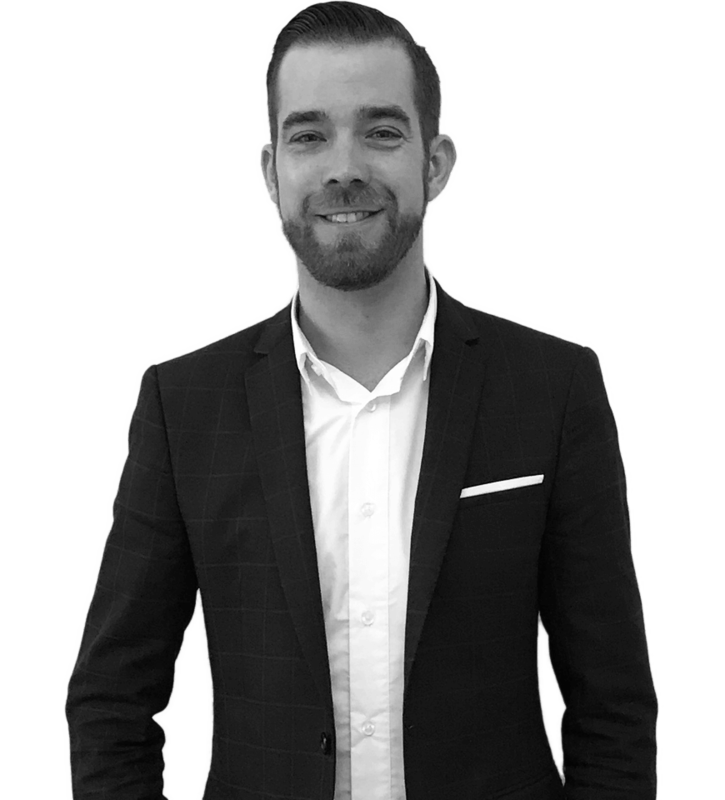 I'm here to answer your questions, call me at (+46) 08-120 359 03, send your question claes.aspblad@studentmedia.se or reach me right through chat on the right.